ERP and GIS optimize city's entire business processes through seamless IT integration. System is recognized as one of the world's largest local government ERP systems. In 2001, seven neighboring local authorities were amalgamated into the City of Cape Town in the Republic of South Africa with the intention of consolidating and streamlining municipal services across the Cape Town metropolitan area. As a result of this massive restructuring process, the City of Cape Town, with a population of approximately 3.2 million, immediately became responsible for managing a number of antiquated, stand-alone information management systems holding disparate data in at least seven different IT centers across the new city. 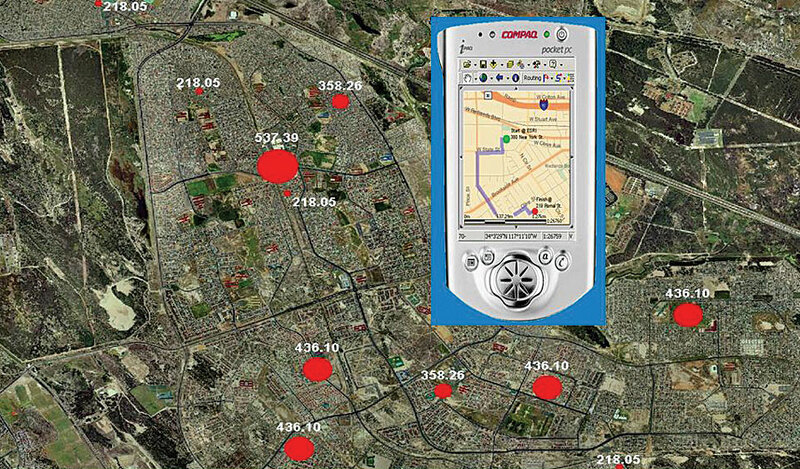 SAP is linked to GIS to extract monthly maintenance costs of water bursts in the Khayelitsha service area. 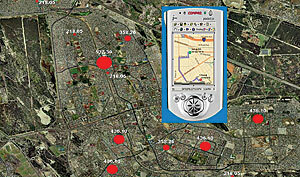 Bursts have been captured with mobile GIS devices. Integrating its existing legacy systems into a seamless IT infrastructure became a top priority for the city. Committing itself to a holistic and comprehensive "smart city" strategy, the IT department initiated a number of projects to address the standardization of Information and Communications Technology (ICT) architecture and connection of constituent parts to enable a better flow of information among the departments and more efficient services for the city's residents. Key to the success of the smart city strategy was the implementation of the enterprise resource planning (ERP) system, which saw approximately 113 legacy systems and 70 interfaces replaced with a single functionally rich SAP solution designed to standardize and optimize the city's entire business processes. Recognized as one of the world's largest ERP systems ever implemented by a local government, it deploys SAP's Industry Solution for Utilities as the billing system to help streamline the revenue process and integrate these into the ERP back-office and CRM processes. Next, the city integrated a GIS into the information system infrastructure. While GIS technology was used throughout the various local councils prior to the amalgamation, it functioned primarily as stand-alone systems with little standardization and limited compatibility. To reform this particular legacy, Cape Town implemented an enterprise GIS based on the ArcGIS platform. This allowed extensive functionality within a multiuser environment and provided an effective spatial data management platform for its many users. Initially, the city concentrated on consolidating electricity and property geodatabases into the GIS and subsequently added the Water Services geodatabase to the GIS process. 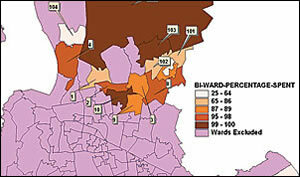 Since then, a number of other departments, such as Planning and Valuations, have started implementing GIS technology. ArcGIS was successfully implemented in participating departments as the city focused on integration issues, such as user profiles, as well as standardized data capturing and maintenance of departmental geodatabases. Cape Town's Water Services proved to be the ideal utility from which to continue its GIS integration initiatives. South Africa is located in a semiarid region without significant perennial rivers or lakes, and this reality requires extensive conservation and water control measures. The City of Cape Town also experiences a 3 percent annual growth in its population, placing an even greater strain on the city's limited water resources. Given these constraints, GIS provides one of the best possible means to collect, analyze, and model spatial data for optimization of water conservation and demand strategies. The implementation of SAP enabled the city to establish an effective link between the system's business information capabilities and its location-based asset information, such as pipes, meters, reservoirs, treatment plants, and associated attribute data stored in GIS. By taking advantage of this linkage, Cape Town is now able to extract the monthly maintenance costs for incidents, such as burst pipes and sewer blockages, as well as to evaluate water consumption patterns based on tariff structures. This shows the percentage of capital budget allocation spent for 2006 per selected wards. The data originates from SAP Business Warehouse. There is also a link to the asset register, which is a model that runs against the GIS infrastructure geodatabase and is used to calculate solutions, such as the life span of the various parts and components of the Water Services infrastructure. GIS can, therefore, be used as a tool to plan medium- and long-term budgeting of infrastructure projects, such as replacing pipe infrastructure due to increased population demands or end of life cycle redundancy. Next, the city will apply the lessons learned from the Water Services implementation to the development of a sewer and storm water geodatabase. Currently, the existing ArcEditor/ArcInfo tools are utilized for multiuser editing in eight district offices, but the long-term vision is to develop a customized editing tool within the ArcGIS Server environment. By developing a common data model for GIS use throughout the city, the City of Cape Town has realized substantial savings in its operations and developed a GIS that promotes data sharing while minimizing data redundancy. The overall strategy is to implement a GIS completely integrated with the city's enterprise-wide information architecture and infrastructure, providing support to the city's private citizens and its local business community. The Water Services Department has also implemented a Technical Operations Centre (TOC) that interfaces with the Corporate Call Centre to initiate operational responses and manage event tracking and logging. Currently, the Water Services Department is evaluating the available technology and interfacing options to develop a fully automated, spatially enabled event management system (EMS), defining an event as any operational activity requiring a response. The EMS would be used to monitor and support the responsibilities of the city's employees to increase their efficiency. For example, the EMS would automatically record the exact location of an event occurring in the city and analyze it to determine its impact on the surrounding area. Using location as a reference, the system would then identify assets the city has at any particular location and dispatch work crews to respond to the event. Workflows developed within the EMS will allow the city to define and manage its standard operating procedures to support the EMS. The workflows would analyze the system's automated response to an event and escalate the response to a higher level, demanding greater urgency, if required. According to Pieta Le Roux, former GIS coordinator for the city's Water Services Department, because events will be spatially referenced, engineers will be able to interpret trends and patterns visually, which will allow them to be proactive in their response to events. In addition, the TOC will coordinate responses to water/wastewater emergencies by integrating the notification and work order processes of SAP with mobile GPS/GIS and communication technologies. This integration will allow the city's supervisory control and data acquisition (SCADA) and telemetry systems' alarm components to be part of the central IT network and information infrastructure for quicker response to any malfunctions or anomalies occurring within the city's utility networks. Le Roux further states that the City of Cape Town has a mature GIS, which is commonly viewed as central to the city administration's plans for a tightly integrated and service-oriented IT architecture, supported by a modern infrastructure, for seamless enterprise information management capability. The GIS production and geodatabase server environments form a major part of this integration process. Commenting on the future, Le Roux says, "Cape Town will be implementing strategies and processes toward the transactional integration of GIS and SAP to provide the necessary life cycle views and real-time feedback of their asset maintenance environment." For more information, contact John Potgieter, manager, Technical Operations Centre, City of Cape Town Water Services (e-mail: john.potgieter@capetown.gov.za, tel. : 27-0-21-970 3030).